Torx Wood Screws with Thread Cutting Point Torx thread cutting wood screws. it widely used in wood applications. 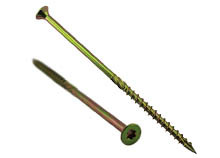 it’s better solution for Chipboard Screws , Hex Wood Screws etc..